These four page flyers, printed in navy blue ink on pink paper, were exciting because a) news of a new comic is always exciting, and b) even if it advertised an existing comic, free gifts were accompanied by new stories joining the comic. 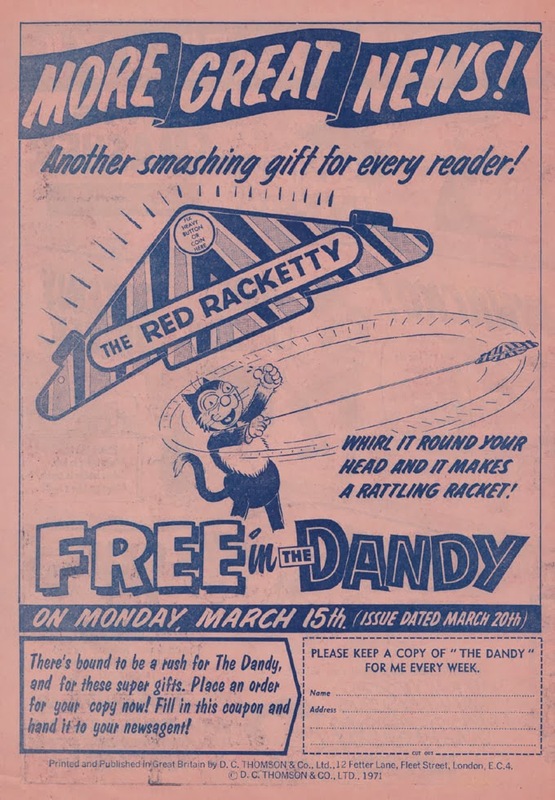 Here's the flyer promoting "the new big Dandy" which was in The Beano No.1494, March 6th 1971. 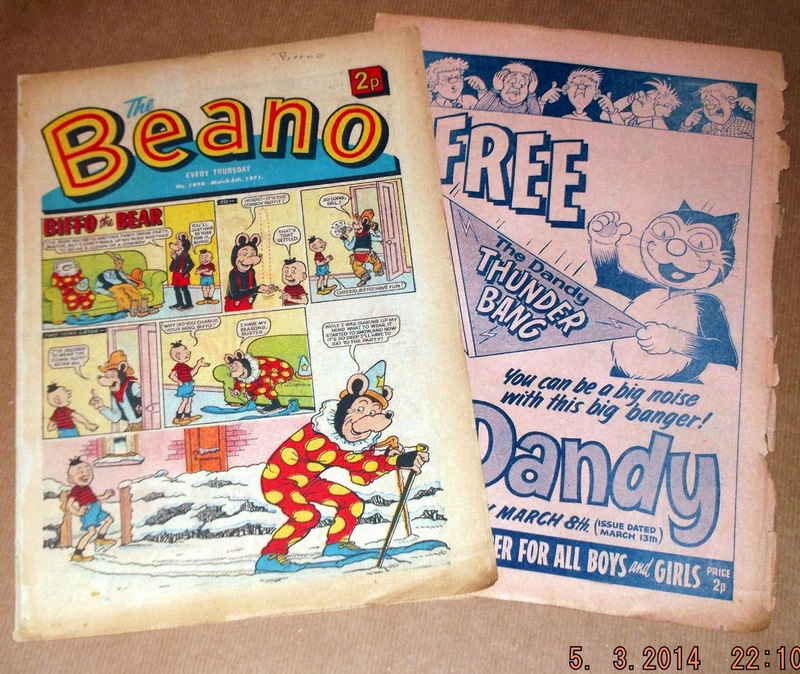 The cause for celebration was The Dandy and The Beano both increasing their page count from 16 to 20. Laughable as it seems now, those few extra pages were a big deal back then. They also compensated for the price rise from 4d to 2p (5d) a few weeks earlier when Britain went decimal. These 'pink inserts' were a great way for DC Thomson to promote their comics. IPC imitated the idea from the late 1960s, but the Thomson flyers always looked better designed to me. 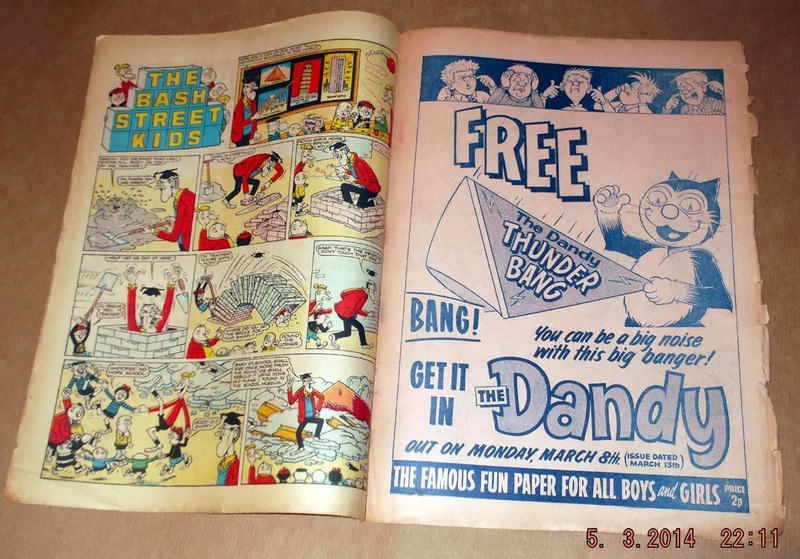 Lew, Wasn't the pre-decimal price of both the Beano and the Dandy 4D instead of 3D? You're quite right, Bruce. My silly mistake. I'll correct it. Ahhh, loved the Thunderbang (aka the Gnasher Snapper) - a staple free gift in DC Thompson titles. 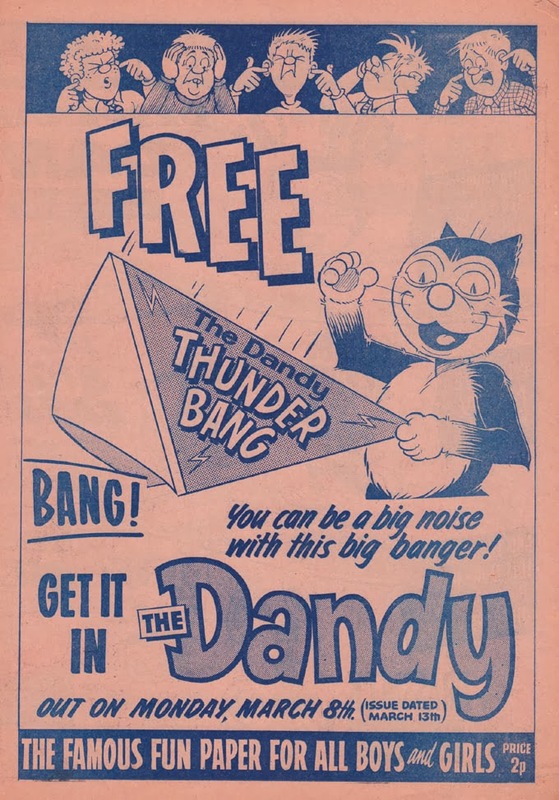 Ah, loved the Thunderbang (aka the Gnasher Snapper) - a mainstay of DC Thompson free gifts. I had COMPLETEY forgotten all about these pink pages until your post.Have you got an example IPC one to show us?